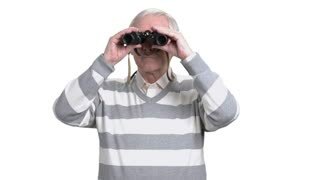 Senior man with binoculars outdoors. 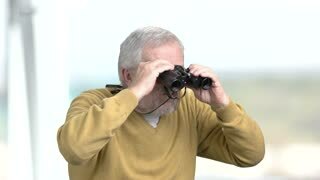 Elderly man looking through binoculars outdoors close up. People, technology, lifestyle. 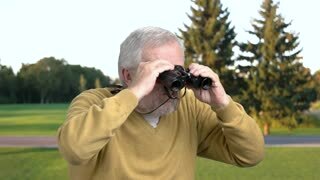 Senior male looking through binoculars. 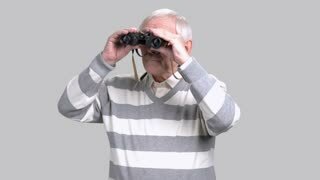 Elderly man wearing striped sweater looking into binoculars indoor. 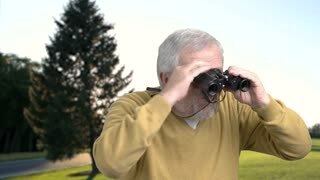 Senior man with binoculars, nature background. 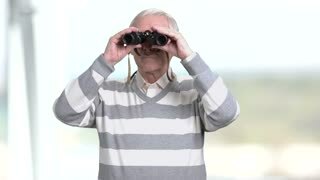 Elderly man looking through binoculars outdoors.